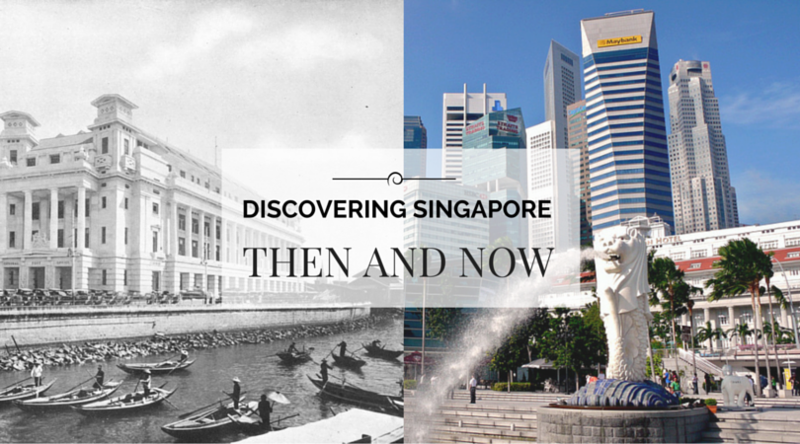 Walk down memory lane, and discover Singapore now and then. Rated the world’s most expensive city, Singapore has grown and become a modern metropolis in just over 50 years. Well, Singapore didn’t start as an economic giant nor with its dense amount of high-rise residential and office buildings. It is amazing how Singapore has grown during a short span of over 50 years. We bet you didn’t know how some of these places had looked before it was developed! Completed in 1988, Bishan Park was one of the biggest parks in Singapore back then. It featured ponds, a lake, a football field, a fragipani gardens, and a “floating amphitheatre”within its 42 hectares of greenery. Paddle boats were available for rent and fishing at the ponds were available in 1990s. In 2012, the park was renamed Bishan-Ang Mo Kio Park after a major revamp. It now has a high-tech safety warning system, and several spots for recreational activities. A great place for families to gather, the park has now become a popular spot for residents to enjoy picnics and partake in activities. Before its clean up in the early 1980s, Kallang River was crammed with lighters and tongkong – a type of light wooden boat. It even reeked of rotting waste and dirty sewage. During the clean up, pig farms, duck farms, street hawkers, latrines were removed. The whole clean up process took 10 long years. Today, waterfront condominiums dot the area. This place has also grown to become a residential and lifestyle district. In 2014, the Sports Hub took over the old National Stadium. It now has a 55,000 capacity with a retractable roof, as well as an indoor aquatics arena. Before re-opening in 2015, the Capitol Theatre had offered a 1,600 seater cinema to patrons in Malaya. Its concave neo-classical facade plastered with movie posters had defined the street of Stamford Road and North Bridge Road. It was the place where many couples had their first dates back in the 60s! 18 years after its last cinema patron in 1998, the historic Capitol Theatre finally re-opened in 2015. Now, the mixed-use complex comprises four buildings – Capitol Theatre, Capitol Building, Stamford House and the new Capitol Piazza. Fun fact: We bet you didn’t know the Capitol Theatre is the biggest single-screen cinema in South-east Asia, with 900 seats available! Entertaining generations of Singaporeans over 80 years, The Cathay started out as the first air-conditioned theatre in Singapore. At 16 storeys high, it was Singapore’s first “skyscraper” and it remained the city-state’s tallest building until 1954. This building was also used by the British administration and Japanese occupiers. After the war, it re-opened as a cinema and hotel. Its Chinese restaurant was one of the most popular dining choices in town. However at the end of 1970, the hotel closed due to space constraints. It then became an office space for a period of time. Do you know Singapore’s first arthouse cinema – The Picturehouse was built here in 1987? The Cathay re-opened in 2006 after a period of closure for an overhaul in 2000. Its 1939 front facade was restored. It is now a vibrant mall with an eclectic mix of entertainment, retail, and food and beverage stalls. Completed in 1928, the Fullerton was Singapore’s largest building. It housed the General Post Office (GPO), a number of government offices, the Chamber of Commerce, and the Singapore Club. This was Singapore’s landmark. Many travellers and ship captains around the world recognised it. During 1928 to 1996, letters, money orders, and parcels were sorted and dispatched in the GPO and the Singapore Club occupied the upper floors. It was the “busiest and best-known building” in Singapore. By 1960, after the Singapore Club had moved out to make way for government offices, the building housed Inland Revenue Authority of Singapore, the Economic Development Board, the Ministry of Finance and a POSBank branch, the bank’s oldest. In 1997, S$300 million was spent to convert Fullerton Building into a hotel. A two-storey commercial complex – One Fullerton opposite Fullerton Road, was built. The Fullerton Building restoration project took place from 1998 to 2000. Now, the building is gazetted as Singapore’s 71st national monument. True to its namesake, Orchard Road was named for the plantations lined with bamboo hedges and shrubbery in the area during the 18th century. Nutmeg plantations and fruit orchards dominated the area. Towards the later part of 1840s, graveyards appeared along the road. That part is now Meritus Mandarin Hotel and Ngee Ann City. In 1900, Orchard Road was still a tree flanked dirt road. With its S$40 million revamp in 2009, today, Orchard Road is the nation’s top shopping, dining and entertainment hub. With its underground infrastructure connecting malls together, it is an ease to walk along the air conditioned walkways instead of the hustle and bustle on its road level. Prior to Changi Airport, the Paya Lebar Airport was bursting at the seams with more than 4 million passenger movements in 1975. With insufficient room for future expansion, a new location had been sought and Changi was selected as it was at the edge of the city. Singapore Changi Airport was officially opened on 29 December 1981. It was the world’s largest airport at that time and the world’s largest column-free hanger at 20,000 sqm. We are amazed at the pace of Singapore’s growth over the last 50 over years! In the past 50 years since independence, Singapore has transformed from a struggling city-state into one of the richest nations in the world. What do you think Singapore will be like another 50 years down the road?